Ignition switch repair and replacement is an important maintenance need for any vehicle. Fort Worth Locksmith Pros has been providing excellent, 24/7 locksmith service in the automotive locksmith industry in the Fort Worth and Dallas metropolitan vicinity, offering you the courteous, prompt, and professional staff needed in the case of a lockout. All of our expert technicians are also licensed, bonded, and insured, and provide up front pricing for your convenience. 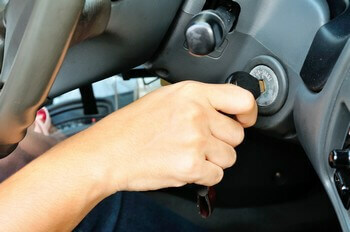 At our company, we understand that car ignition switch and lockout problems are a time-sensitive issue. Not only is this job performed in a timely manner, but it is also done without damaging your car. We’re available 24 hours a day, 7 days a week and our locksmith services for your vehicle also include car key replacement, ignition replacement, and unlocking car doors/trunks in Fort Worth, TX and surrounding areas. The ignition switch is usually located on the steering column or in the dashboard in most car models. Battery power is taken and and directed to all of the necessary components of the car with activation of the ignition by transferring power to the starter. It is when the car starter fails to receive ignition due to a broken switch that a perfectly good starter won’t start! Various accessories such as lights, interior electricity, heating, and cooling will fail to work due to a broken ignition. Broken ignitions can be caused by forced removal of jammed keys or internal wear and tear due to years of use. Once ignition switches are broken, the ease of fixing it ranges from replacing a few screws to removing the entire steering column, so the examination of your ignition by our mobile locksmiths can prevent further damage to a perfectly good operating vehicle. Any attempt to fix more complex ignition problems could also damage the steering wheel column or the automatic transmission or column lock. Ignition replacement can fix preexisting problems with the steering wheel as well as issues with linkage within the cars transmission. One way to tell if you’re going to need a complete locksmith service is to test the key within the ignition by moving it back and forth rapidly, to test the extent of lock-up or damage. If the ignition is not turning on, it’s time to give us a call. Why let anyone pose a danger to the exterior or interior of your car? Fort Worth Locksmith Pros is a complete automotive locksmith service. We are proud to adhere to a 30 min response time for Fort Worth, TX and surrounding areas, making convenience a priority for our customers. Ignition switch repair is often the result of an unprofessional attempt at key removal gone wrong. Dents and other forms of damage can occur. 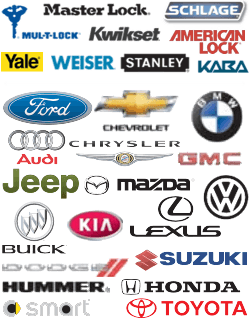 Most of our staff have had 5+ years of experience with foreign and domestic cars, so once the technicians show up, they are able to open most locks effortlessly. Transponder chips are also within our technicians’ expertise. Error in transponder chip programming can lead to a number of problems within a vehicle if not fixed right away. In addition to these services, we are also able to cut custom-made keys to your car model’s ignition and trunk so you don’t have to keep two pairs of keys on you at all times. As mentioned before, damage to a car’s ignition can range from slight to complex, so the ability of a professional to diagnose your problem can prevent any further damage happening as a result of negligence or attempted fixes. Whether its ignition switch repair or replacement, we’re ready to assist. If you’re in the Fort Worth area, remember that we provide fast and friendly locksmith services. Just give us a call for upfront pricing or look on our site for information on how to get 24/7 locksmith service from licensed, bonded, and insured technicians you can rely on. Our call center is standing by 24 hours a day, 7 days a week to answer any questions or concerns you may have regarding the repair or replacement of your car’s ignition switch. 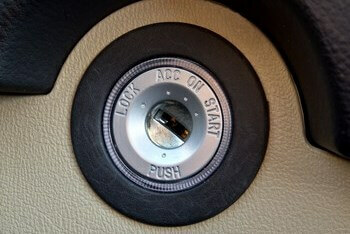 Ignition Switch Repair & Replacement http://locksmithftworthtx.com/ignition-switch-repair/ 3.8/5 based upon 23 reviews.